Further details released about the Star Wars Night party at Disneyland Paris. 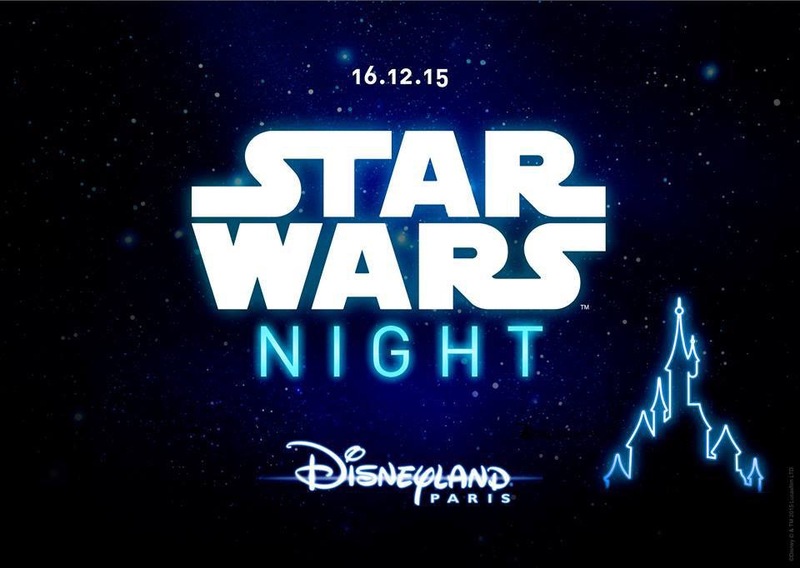 Disneyland Paris has released further information today about the Star Wars Night themed party they are hosting to celebrate the release of Star Wars: Episode VII: The Force Awakens on 16 December 2015. Don a costume to show your allegiance to your favourite side of the force so you can live the part to its fullest! Take home a commemorative ticket – a unique souvenir for lightyears to come. Revel in the excitement of witnessing Discoveryland take on a new dimension with specially designed intergalactic décors, outer space photo backdrops, and constellations of thematic activities. The Force is calling! Enter the gateway tunnel and you are there! Welcome to a red carpet experience where you will be one of the stars that light up the universe. And you’re in good company, because VIP celebrities will also make a special appearance, adding that extra little sparkle to this intergalactic event. 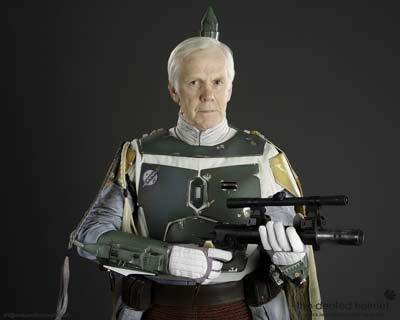 Join Jeremy Bulloch who played the mythical bounty hunter, Boba Fett and expert collector, Patric Girod, in an exclusive live Star Wars presentation. You’ll be on the edge of your seat as they share with you their adventures and experiences in a famous galaxy far, far away. Confront the Dark Side on “Planet” Videopolis where Darth Vader patrols against the likes of you and the rebel alliance! Feel the full power of the Force in the spectacular Star Tours attraction. Celebrate the legend with an intergalactic “light and sound”grand finale that’s sure to awaken The Force within you. But beware the Dark Side! Darth Vader and Storm Troopers are on hand to capture something deep inside you…your attention…so that you can have an out-of-this-world experience like no other! Pack 1 : access to the event + exclusive lanyard. Priced at £70 per person or £49 per per person for those with a Dream Annual Pass. Pack 2 : Pack 1 + A collector frame with the movie poster, 2 FastPasses for privileged access to the eligible attractions and more privileges limited to 600 happy few. Click here to book your spot to this extraordinary meeting with Force today or call Disneyland Paris on 08448 008 898* (Monday to Friday 9.00am – 8.00pm, Saturday 9.00am – 6.00pm – Sunday 10.00am – 5.30pm). The Disney Performing Arts OnStage programme at Disneyland Paris provides performance opportunities to amateur groups, with the aim of giving them a glimpse into Disney’s world of entertainment, by offering them the unique once in a lifetime experience of becoming a ‘Disney performer’ for the day. Here is the Disney Performing Arts OnStage schedule for December 2015. More information about the Disneyland Paris Performing Arts OnStage programme can be found here. To celebrate the release of Star Wars: Episode VII: The Force Awakens, Disneyland Paris has confirmed that they are hosting a special Star Wars themed party on 16 December 2015. The event will be held in Discoveryland and will run from 5.30 pm to midnight with the DISCO party starting at 8.30 pm. Guests will allowed to wear Star Wars fancy dress and will be able to Meet ‘n’ Greet with Chewbacca and Darth Vader. Themed star wars food and exclusive Star Wars merchandise will also be available and all Guests will be given an exclusive Pin Badge and Star Wars lanyard upon entry. Standard Tickets are priced at £70 per person or £49 per per person for those with a Dream Annual Pass. There is also a Premium Ticket available at £123 which includes two FastPass Tickets and an exclusive Star Wars movie poster. Tickets for the event are now on sale now via the Disneyland Paris ticket website. More information about the event can be found on the Disneyland Paris website here. The next Pin Trading Event at Disneyland Paris will be ‘The Cinderella Ball’ on 12 December 2015, being held from 11:00 am to 3:00 pm at the Coliseum Convention Centre at Disney’s Hotel New York. Tickets for the event are limited to 350 people and they go on sale tomorrow – Tuesday 24 November 2015 and cost €45 which includes brunch. French fan site DLRP Express is reporting two new graphics have been released by Disneyland Paris to celebrate the release of Star Wars: Episode VII: The Force Awakens, hinting at a special event. The movies release date of December 16, 2015, date is mentioned on the graphics and the text ‘Star Wars Night’. No further information is available yet but we will keep you update with developments. The original article about this possible event published by DLRP Express can be found here. 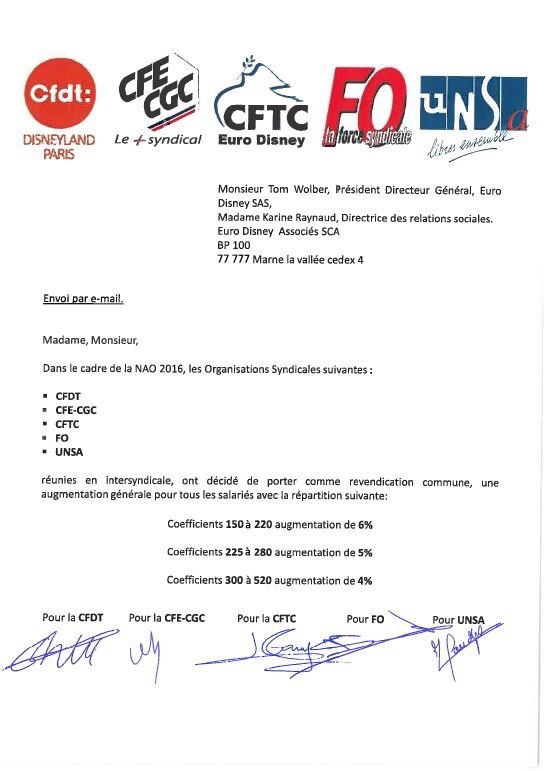 Unions at Disneyland Paris have have sent a joint letter to the CEO Tom Wolber as part of next years Annual Wages Negotiation requesting up to a 6% increase in remuneration. In a statement to members Union officials have said they want to effectively influence and enable Cast Members to reach a living wage level. The Unions are scheduled to meet with the resorts management on 19 and 26 November 2016 for negotiations. The Walt Disney Company now owns 76.71% of Disneyland Paris. Following the completion of the Euro Disney S.C.A. recapitalisation plan The Walt Disney Company now owns 76.71% of Disneyland Paris with a share holding of 600,922,335 shares.